Waterless Grass can be installed as play areas, bocce ball courts, or croquet courts. 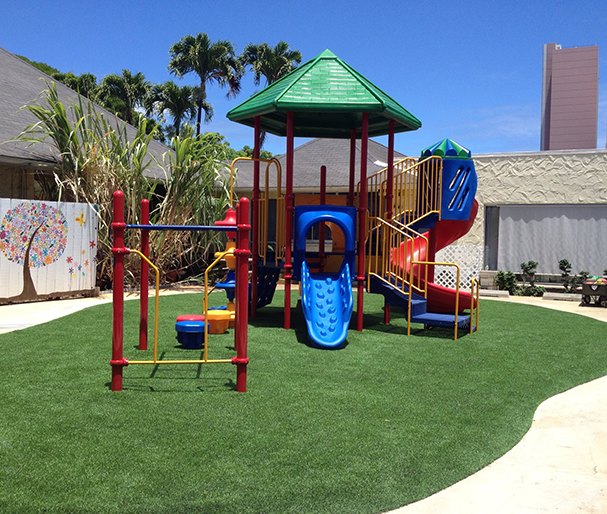 A great idea is to replace small lawn areas with carefree waterless grass!……………….. Spend more weekends enjoying the outdoors! 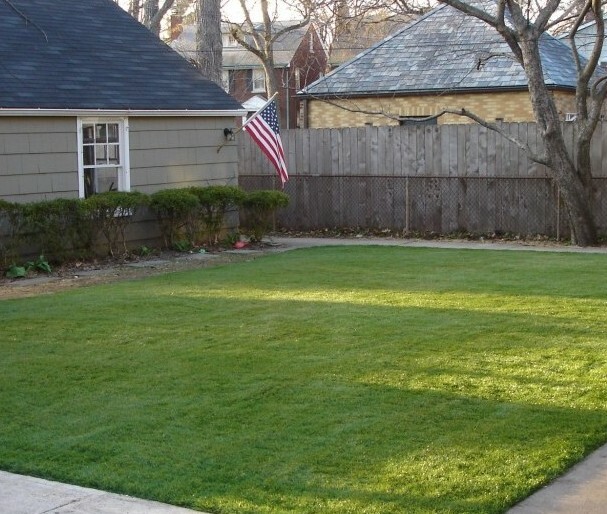 Waterless Grass provides the benefits of environmentally friendly green grass without the need to mow, weed, or water. No harmful fertilizers, or chemicals. Safe for children and pets. 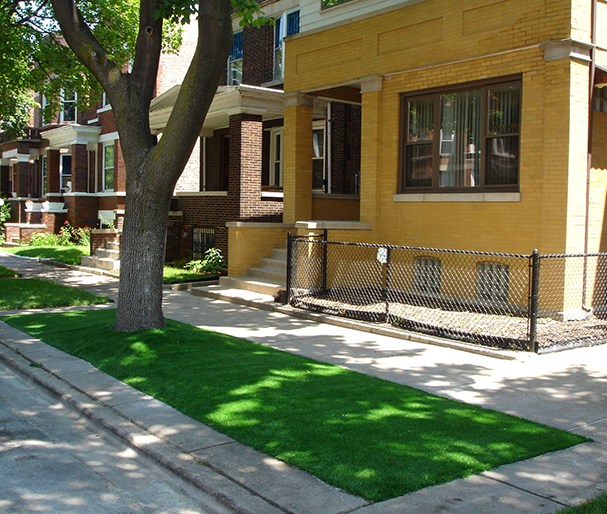 Great for citywide grass easements and surrounding sidewalk. 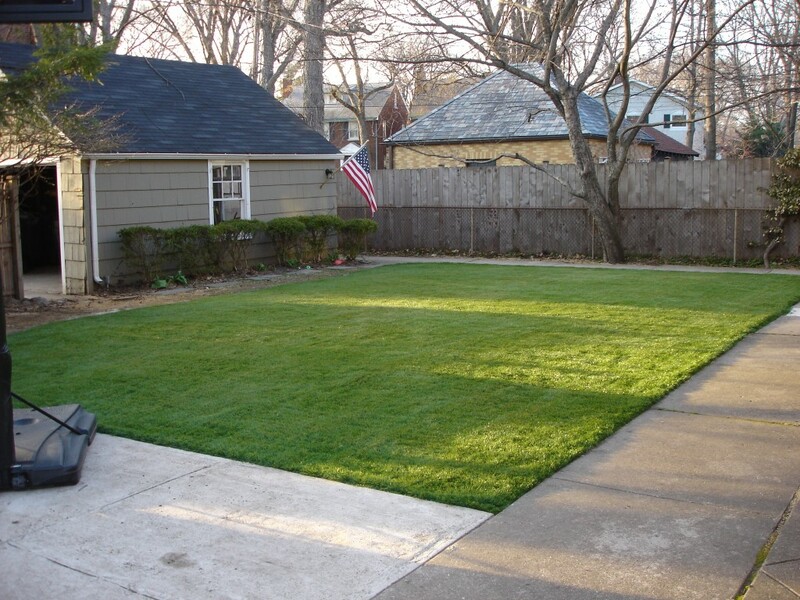 Installing an artificial turf lawn will increase your property value, while reducing your maintenance and water usage.